Welcome at the airport and transfer to the hotel. 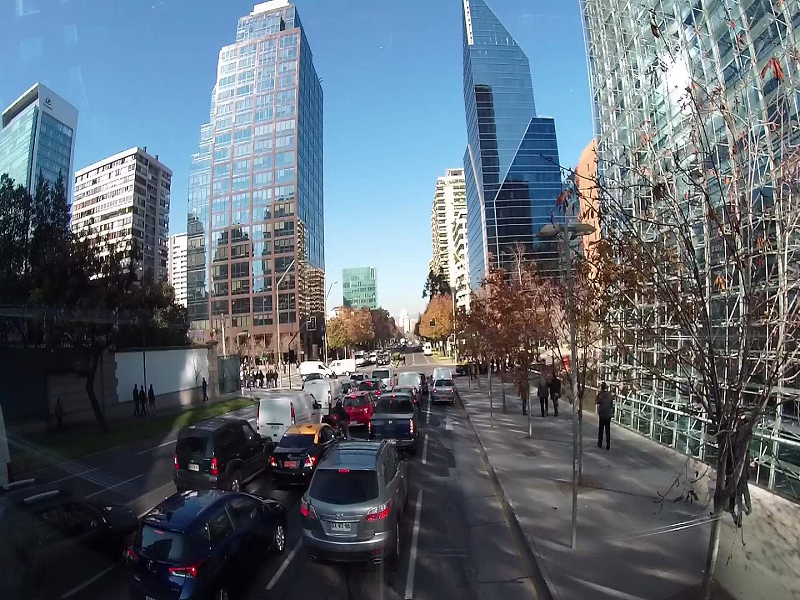 City Tour Buenos Aires. 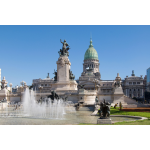 This panoramic tour will take you through the highlights of South America's most European and cosmopolitan city. 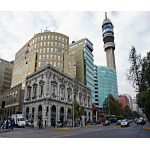 We'll drive along 9 de Julio Avenue where the renowned Colón Theater and the Obelisk, symbols of our city, are located. 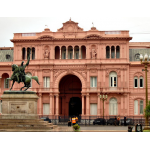 We'll visit Plaza de Mayo, surrounded by important historic buildings like the Casa Rosada, the Cathedral and the City Hall. 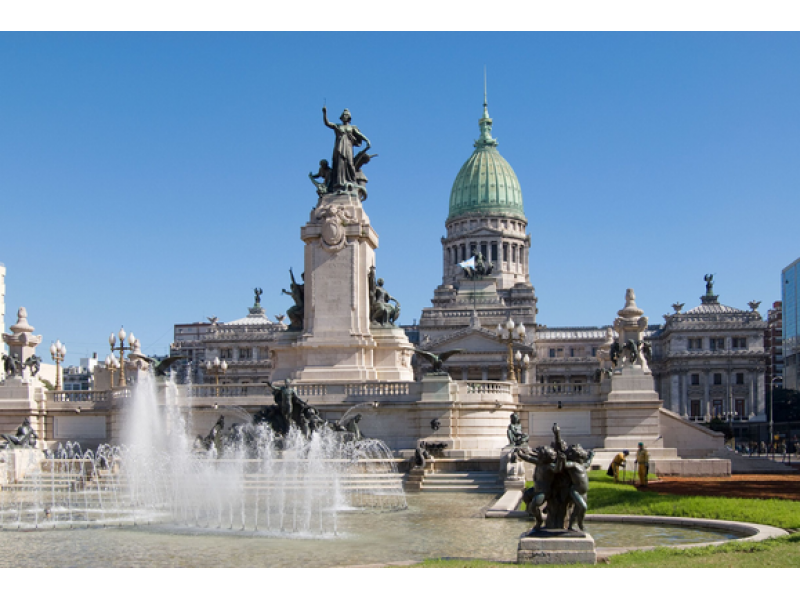 We'll also visit Plaza San Martin, Alvear and Plaza del Congreso. 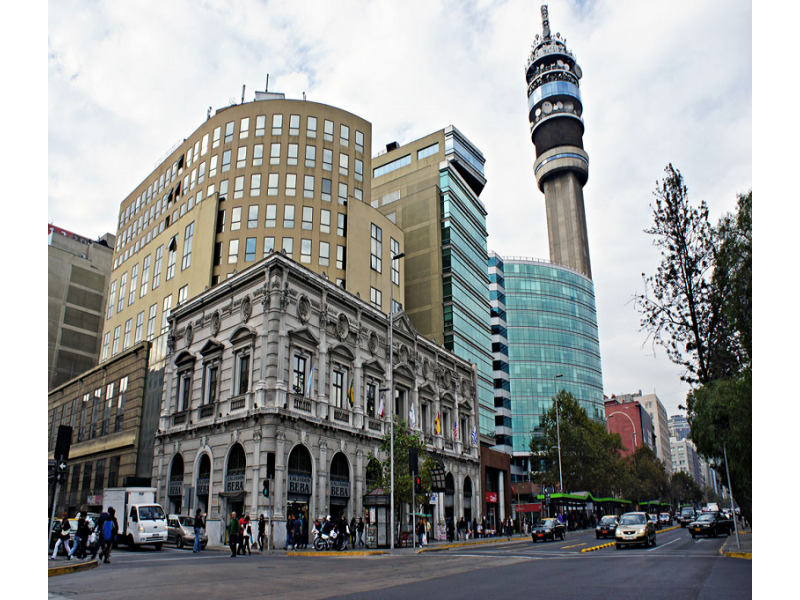 The tour will drive us along the old fashion Avenida de Mayo and the dynamic Avenida Corrientes. 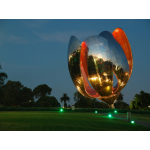 Explore neighborhoods filled with colors and history, like La Boca and San Telmo, and the sumptuous neighborhoods of Palermo, Recoleta and the modern Puerto Madero, a busy gastronomic and entertainment area. In the evening enjoy an amazing Tango Show and Dinner. Tango is still alive. A good way of penetrating its spirit is visiting one of the restaurants that offers tango shows of an excellent level, to enjoy tango´s sensual magnetism taken to the stage by some of the best dancers, singers and musicians in Buenos Aires! After a delicious dinner, you will follow a spectacular presentation of acclaimed popular and sensuous Tango, performed by the world's best. 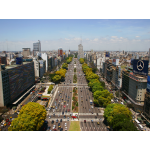 It is the music of Buenos Aires par excellence. Tango is felt in the air of the city, as humidity! Welcome at the airport and transfer to the hotel. 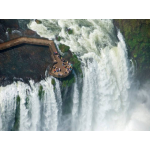 Our guide will pick you up for a full day adventure to the Argentinian Side of the Iguazu Nationalpark. 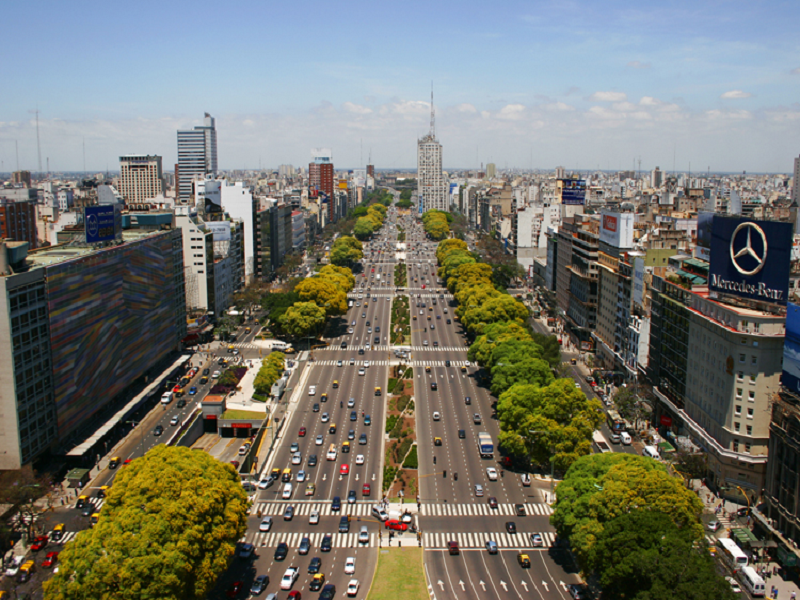 The Argentinean side is very different from the Brazilian one; there are the three trails leading you through the nature in the parc: The Lower Circuit: At a length of 1,700 meters, runways venture into the lush jungle to take direct contact with the breaking of the Dos Hermanas, Chico and Ramirez. Walking down a runway you can be at the foot of a huge seawall water which is the fall of Salto Bosetti and you will enjoy the steep falls in the Saltos Alvar Nuñez, Elenita and Lanusse. The Upper Circuit: a walk of 1,300 meters, elevated runways will take you on the fall line of several major jumps, reaching the edge thereof. It provides an overview of the whole area from a greater height. The Devil's Throat: Accessed through the Rainforest with the Ecological Train arriving at the Devil's Throat Station. From there, after a 1,000 meters walk, you will reach the enormous 'Devil's Throat'. You will walk around next to the falls to have a close look of the falls. You can feel the strength of the water and enjoy the 55.500 hectares of natural beauty! 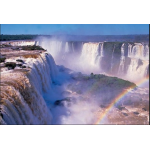 Today after the breakfast in your Hotel, you will visit the Brazilian side of the magnificent Iguaçu Falls . Following the walkways which border the canyon of the Iguassu River, you will enjoy the sight of hundreds of small waterfalls. At the end of this Trail you will arrive right in front of the huge and impressing Devils Throat, the strongest and most powerful of all waterfalls. You will feel the waterfalls with the splashing water around you and the whole area around is full of beautiful rainbows. At the end of the tour your guide will drop you off at your Hotel. Great Adventure Boat Trip The Great Adventure takes you to meet the Iguazu Falls from a new point of view, but no less entrancing. 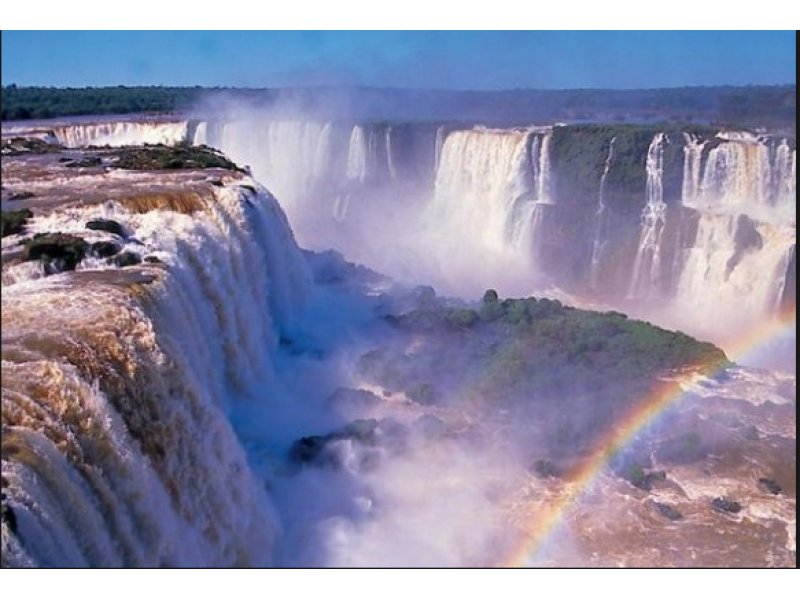 It all starts with a wonderful track by the Iguazú National Park. A walk six miles through the fully motorized Yacaratiá Sendero, which will take you from a subtropical vegetation, where flora and fauna coexist in harmony. Multilingual guides pass information about the curiosities of the jungle. At the end of this wonderful journey you find Puerto Macuco. It's a ride in a special and very safe boat, passing true the island Isla Martín. The boat then on a superspeed takes you directly into the falls! Sparks of water and the adrenalin felt cannot be described in words and has to be felt! 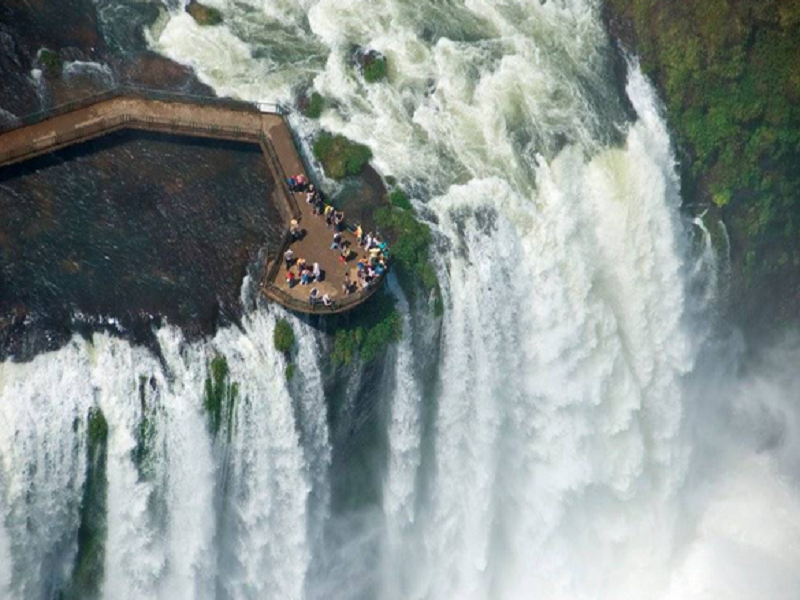 And yet you have the privilege of passing very close to the famous Garganta del Diablo. Helicopter flight over the Waterfalls The tour takes you for flying over the words’ widest falls! The picture is stunning, and the tourist will get the best photographs of this nature show. The flyby allows the visitor to have a sense of the scale of the landscape, making the most different emotions arise. 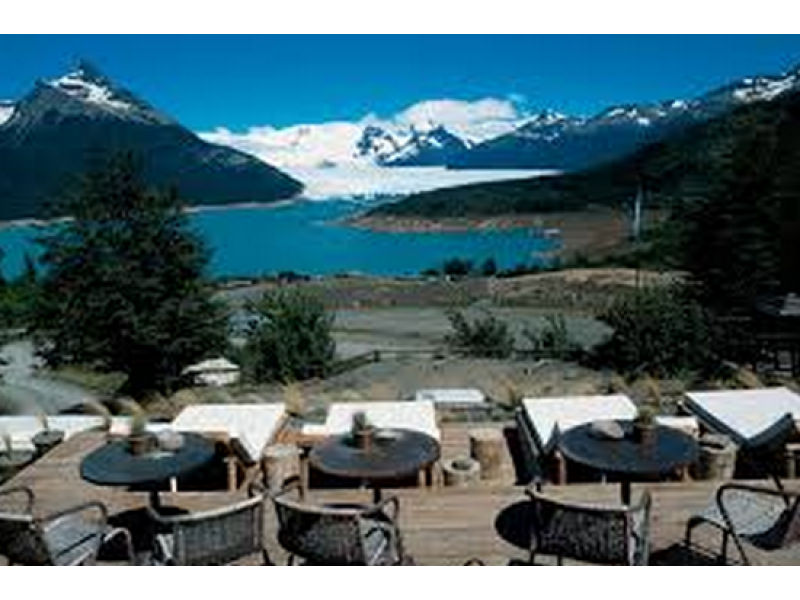 After the breakfast in your Hotel, you will visit Perito Moreno. 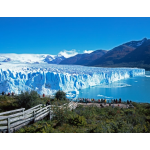 El Calafate claims its livelihood from a single tourist attraction, the spectacular Glaciar Perito Moreno in Parque Nacional Los Glaciares, It can be devided into two parts the north and the southern part, with El Calafate on Lago Argentino the gateway. 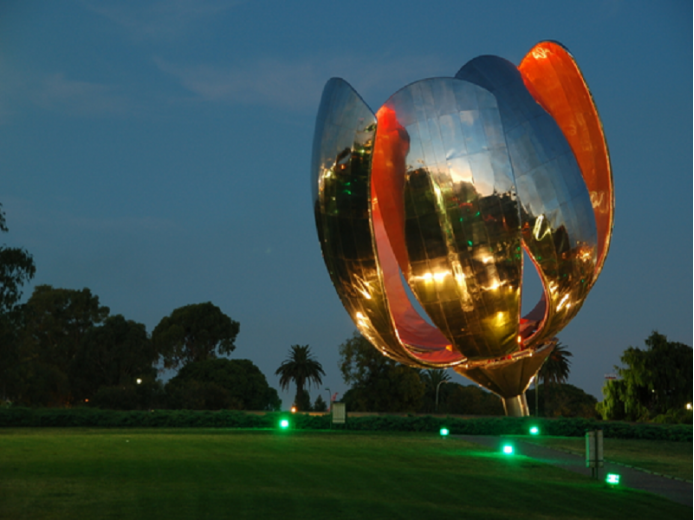 The park is the second largest in Argentina, extending some 170 km along the Chilean frontier and covering some 759,000 hectares. It was declared a World Heritage region by UNESCO in 1987. 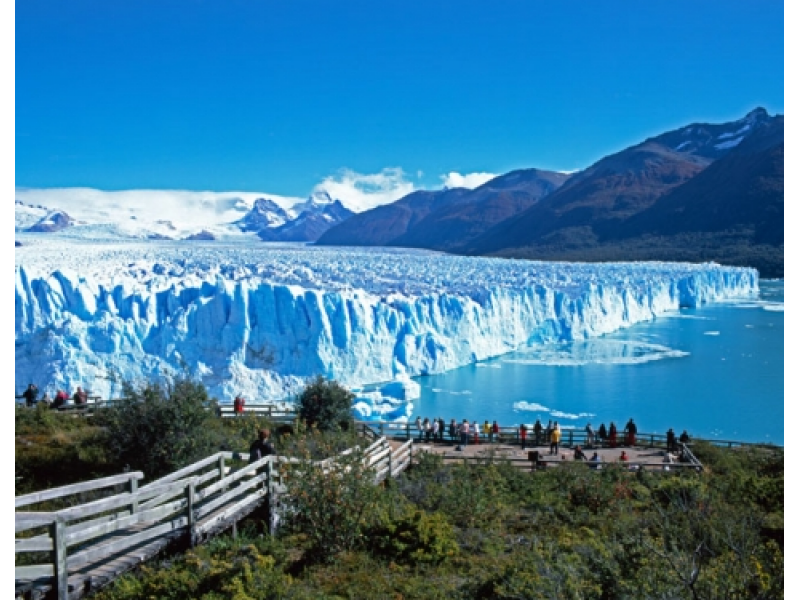 Some 40% of the park is covered by giant ice fields, with 47 major glaciers of which 13 flow east descending into the park to feed the two big lakes, Lake Viedma in the north and Lago Argentino in the south. There are also about 190 smaller glaciers that are not connected to the ice fields. All together a great spectacle you have to see. 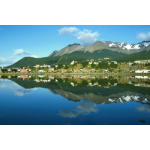 Private Transfer to the Bus station and Bus to Puerto Natales, there you will be picked up and transferred to your Hotel in a private car. A full day tour visiting the amazing national park of Torres del Paine including the Milodon Cave, located at the Benitez hill, 25 km from Puerto Natales, where in 1895 a skeleton of a Sable-tooth tiger, American Horse and Huge Lazy known as Milodon were discovered. We will walk for around 30 minutes in this cave observing the stalactite formations and the Milodon imitation copyAfter this we will continue our way to the national park Torres del Paine where we can see the most varied landscapes starting from a Maggelan forest and ending with the Patagonian Plain with its strong winds and dry air. Upon arrival at the park the scenery changes drastically, the national park containing over 242.000 hectares, we can now see tens of lakes with birds and enormous mountains. The lakes water is blue and crystal clear, the waterfalls and peaks covered with ice are among the typical landscapes of this park. A 15 min walk will take up to Salto Grande, a waterfall connecting 2 lakes, Nordenskhold and Peoe. 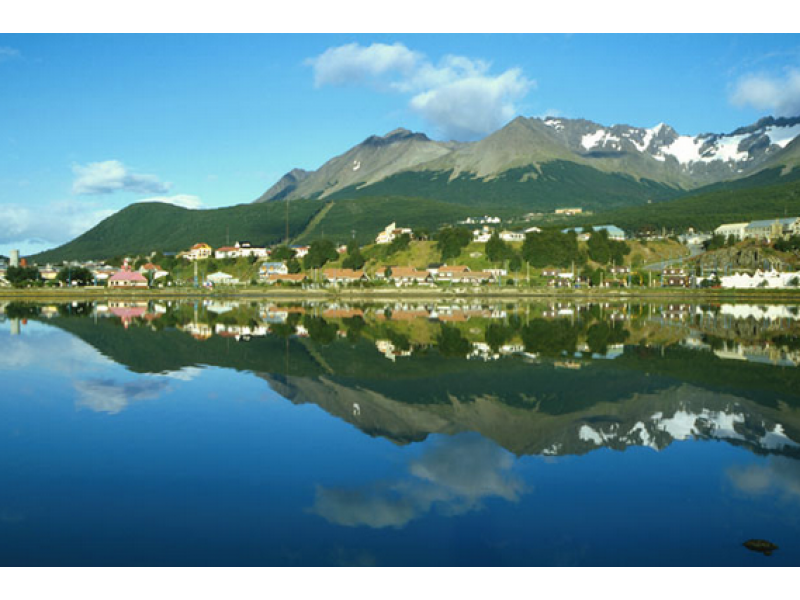 We will return along a beautiful road, passing by the Serrano River and the Toro and Porteno lakes. Overnight at hotel. Private transfer out to bus station and transfer in shared bus to take the flight in Punta Arenas to Santiago. Upon arrival you will be transferred to your hotel. 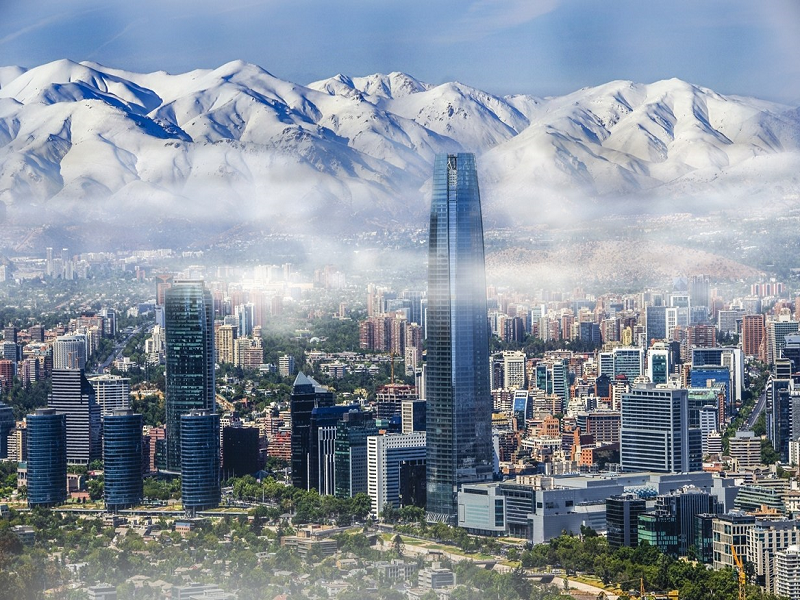 Today you will go on a city tour to the most interesting sights in Santiago, beginning with the historic downtown district, visiting Main Square, Cathedral, Post Office Headquarters, and Santiago City Hall. 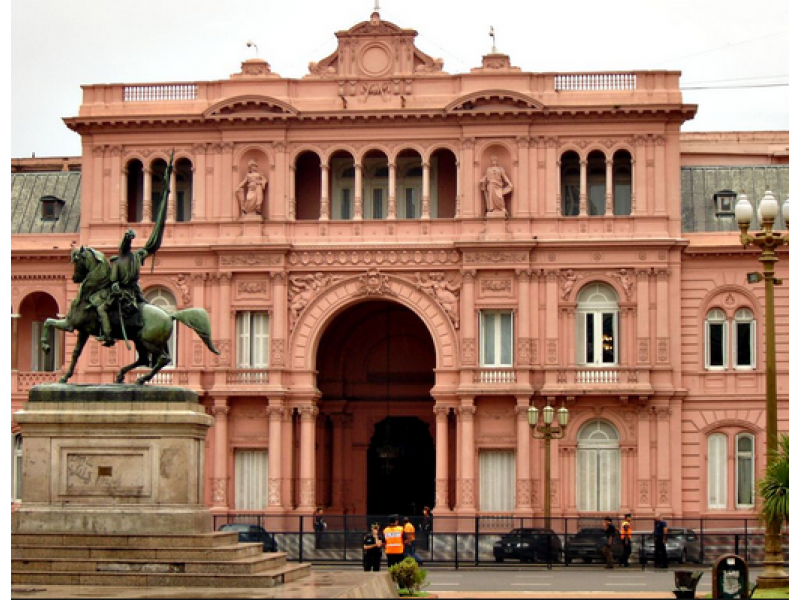 We will also see the Government House “La Moneda”. 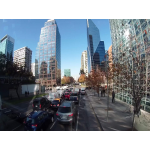 Afterward, we will take you to East Santiago, where you may appreciate modern buildings, with offices, apartments, shopping centers and restaurants. In the afternoon you will go on the private Santa Rita Winery Tour! Visiting Santa Rita’s Vineyard represent a fascinating trip around the cultural heritage of Chile and the wine tradition, located just 45 minutes away from Santiago. Placed in the foothill zone of Alto Jahuel, in Buin, the vineyard is surrounded by a extraordinary natural environment, where the wine tradition, the national culture of Chile and the gastronomy coexists. Breakfast at the hotel. Transfer to the airport. Flight to Calama. Private Transfer in Calama aiport to Uyuni. From San Pedro de Atacama (Chile) drive toward Hito Cajón, admire the Green Lagoon and enjoy the panoramic view of the Licancabur Volcano. 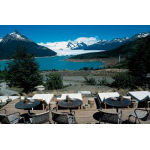 Cross the Dali Valley, enjoy the Polkes hot springs and admire the “Sol de Mañana” geysers. 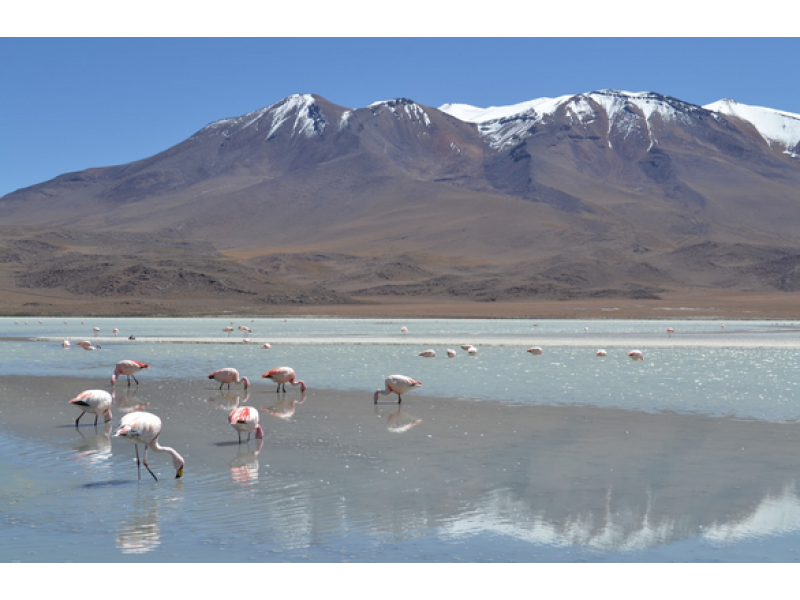 Continue towards the Red Lagoon where you will observe many Andean flamingos, you will see the Árbol de Piedra and (Stone Tree) and arrival at “Ojo de Perdiz”. Accommodation: Desert Hotel, room with prívate bathroom (Box Lunch, Dinner). Start the journey visiting the small Lagoons: Onda, Chiar Kota, Hedionda y Cañapa, stop at the scenic viewpoint of the Ollagüe Volcano, one of the few active volcanoes in the surroundings. Continue the journey through the Salt Flats of Chiguana, which is a vast extension of saltpeter (potassium nitrate). 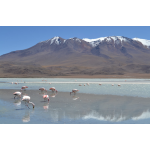 Arrival at the village of San Juan, visit of the archaeological museum and continue the trip through the Salt Flats of Uyuni towards the Fish Island, where you will find the highest cactus in the world. Hike up to the top of the island to enjoy of a great view of the entire Salt Flat. After lunch drive towards Uyuni, visiting Colchani, a town that its main economy is based on the salt processing and distribution of salt. Private transfer to San Pedro de Atacama, overnight in hotel in Atacama. 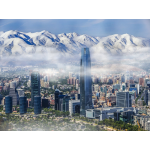 Transfer to Calama airport to your flight to Santiago. Upon arrival you will be transferred to your hotel. • Accommodation with breakfast at selected hotels. • Tours in Private Service. • Transfers from / to airports in private. • Meals specified in the program. Day 1 Transfer from airport to your hotel. Today you will have the half day excursion Ahu Akiva. TOUR Akiva Departure from the hotel to visit the center of the island, where the Ahu Akiva platform 7 moayami personifying the legend that gives rise to the culture of Rapa Nui, the arrival of the Polynesian population on the island. Moai are looking towards the sea, which is atypical for the location of these statues. A visit to the quarry Puna Pau, a small hill that was removed red stone headdress moaya. At this point, there is an observation deck on the village of Hanga Roa. Duration 4 h. Day 2 Breakfast in the morning and the leaving for the Anakena Full day excursion with a visit of the beach (Lunch box incl.). TOUR Anacostia On this tour we will visit the various archaeological zones that will allow us to know the development of the culture of Rapa Nui, including its origins, rise and worst crises. Travel along the coast, a visit to Ahu Akahanga, then the volcano Rano Raraku and its slopes, where it was cut, most Moaev and where until now there is a greater number of these statues. Box lunch in nature. A visit to Ahu Tongariki, the largest platform, where there are 15 restored statues. Then the tour will continue to the peninsula Poyke located on the north coast, with a stop at Ahu Te Pito Kura - a place where there is the large statue outside the quarry, as well as the energy center of the island. Then we go to the beach of Anakena, with its warm turquoise water, white sand, palm trees and a platform Ahu Nau Nau, creating one of the most attractive landscapes of the island. Time for walks and swimming. Return to the village of Hanga Roa, on the way passing through the center of the island. Duration - all day, included a box lunch. Day 3 After Breakfast in the Hotel, excursion to the ceremonial center of Orongo. TOUR Orongo The tour begins with a lift on the slopes of the volcano Rano Kaodo viewing platform at the edge of the crater, inside which there is a beautiful lake with a characteristic vegetation. Then visited Orongo ceremonial village - a place where the leader of the island is chosen for a year with the help of venture competitions. All the clans of the island gathered in the spring of numerous stone "houses", awaiting the arrival of the sacred bird Manutara to select tangata Manu, man-bird. Length - 4 h. After the Tour, transfer back to the Airport.